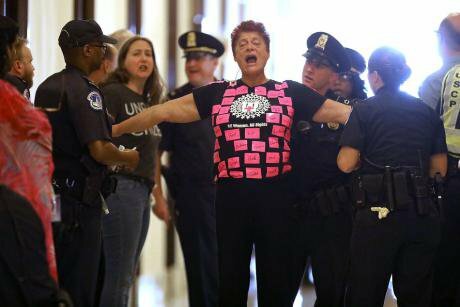 Women living with HIV are mobilising to demand visibility and rights in the US. Our collective voice, vision and leadership offer hope. Ten years ago, 28 diverse women living with HIV in the US, including women of trans experience, set out to create precisely this political space. Through PWN, a group of mostly women of colour leaders harnessed their collective power to fill a void in voice, agency and visible leadership by women living with HIV in America. Around the same time that PWN was founded, I received an HIV diagnosis. As a young woman of colour and daughter to immigrants who was raised to believe in the white narrative of the American Dream, I was struggling to articulate my own politics, let alone process the anger, confusion and sadness of an HIV diagnosis. It would take another year for me to meet another person living with HIV. Luckily, that first person was a woman of colour who guided me to PWN. I came into myself when I linked into this collective voice of women living with HIV. The power of language, of discovering your own truth, then speaking this truth to power with others is a cathartic experience. It is an experience that many women living with HIV have had when they’ve engaged with PWN. Months after its founding in 2008, PWN members heard that other organisations were preparing policy recommendations for the incoming presidential team. No one had submitted recommendations on women living with HIV. Both McCain and Obama had made commitments to a national HIV/AIDS strategy, but it was unclear who would win. For PWN, this was non-negotiable: women living with HIV had to be at the table defining their own priorities. Hundreds of hours of phone calls and many drafts later, PWN submitted the first-ever policy document authored entirely by women living with HIV to a sitting presidential administration. This marked PWN’s entrance onto the national stage. Eight years later, the communities that PWN represents faced an increasingly hostile social, political and cultural climate in the run-up to President Trump’s election in 2016. The evening after the election, PWN organised an emergency community call for people living with HIV to check-in, validate emotions and bridge the isolation so familiar to people living with HIV. “It made me realise we were going to have to be here for our communities in new and different ways,” Khanna told me. As 2016 came to a close, PWN “took an intentional position to stand in active defiance [of Trump’s administration]. This is a dangerous place to be when you are a non-profit, but it is a characteristic response from PWN – we have to do it because our lives depend on it, not because we have a grant to do it,” said Barb Cardell, the board’s chair. This defiance has included: scaling-up community organising; promoting the leadership and expertise of women living with HIV; bolstering efforts to shift cultural narratives around women and HIV; and most importantly, committing to stand for human rights and dignity of all people living with HIV. Barb Cardell advocating for the Affordable Care Act and the right to health. Photo credit: Positive Women’s Network - USA, 2018.Last year, PWN launched a six-part intersectional policy agenda that responds to the political moment and linked with reproductive justice, disability rights groups and mainstream policy think tanks to fight against attempts to repeal the Affordable Care Act. As the US now heads into heated midterm elections, in November, PWN has deepened its political engagement by launching the PWN Action Fund, to endorse progressive candidates. Five statewide chapters are also leading local ‘get out the vote’ efforts. Today, PWN is a recognised leader and key player in the US advocacy and policy landscape. It now has thousands of members nationally, with six statewide chapters and state leads in another 13 states, while remaining committed to working internally and externally to deconstruct the ways race, patriarchy and misogyny structure power. 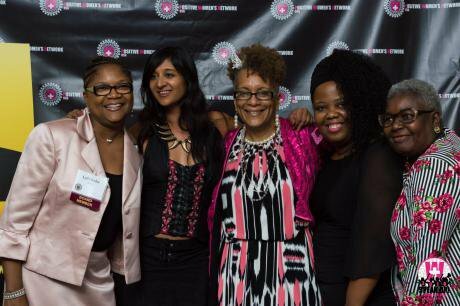 PWN started as a network unapologetically by and for women living with HIV. “Symbolism is everything,” founding member Vanessa Johnson told me. “Every movement has started symbolically. People say symbols don’t matter, but they do”. Ten years on, PWN’s values continue to guide my own engagement with the world. These include the centering of the voices and leadership of the most impacted communities; practicing unbending accountability to your constituents; and changing the balance of power through a social justice lens. In 2015 and 2016 I was working on the frontlines of South Sudan’s civil war alongside many others delivering life-saving services to women, girls and communities affected by decades of conflict. It was PWN’s values, training and approach that give me hope and the will to know what to do in overwhelming and painful situations. Where humanity seemed the darkest and most corrupt, these values let in a kaleidoscope of light.